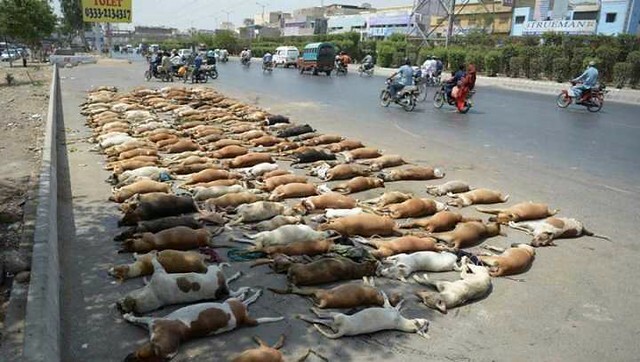 Home Islam Islamic values Is it permissible to kill stray dogs in Islam? 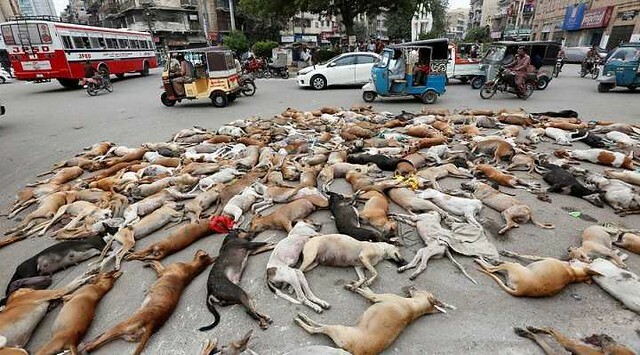 Is it permissible to kill stray dogs in Islam? I was scrolling down through my Facebook when I saw a couple of photos that showed rows of dogs lying dead. I then read the caption which said that these were the stray dogs that were poisoned. This gave me Goosebumps. I wasn’t able to look at the disgusting sight again and I scroll down fast. 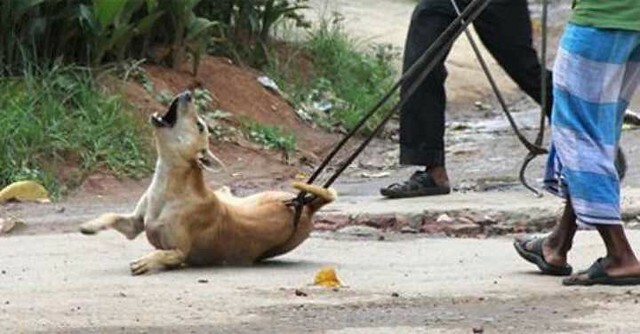 The image would not get out of my head and I kept on asking myself why were these dogs killed. Just because they are dogs? I mean they are living creatures and we can’t just kill them like that. They must have been more than 2 dozen dogs! Recommended: What are the Islamic teachings related to Dogs? The cat killer also popped in my mind, everyone hated him on social media for killing cats and he was even traced down and fined heavily. But what about these dogs killer? Can we simply kill dozens of dogs? Is this what Islam teaches us? Well, Sheikh Bin Baz (late) was once questioned about it. He was asked if it is permissible to kill stray dogs. His answer was no. He said that a harmless dog shall not be killed, yet a dog that is dangerous or has turned dangerous can be killed. He gave out a fatwa in which he said that if one gets annoyed with noise or barking of the dog, he cannot kill the creature. The Prophet Muhammad PBUH has only allowed us to kill a dog that is dangerous (rabid). Otherwise, the mass killing of dogs is not allowed in Islam. Is killing stray dogs the only solution? Even though dogs can cause problems on roads, at night while barking or so: is killing stray dogs the only solution? Shall we kill everything that disturbs us? Verily not! We shall be wise enough to come up with a better solution. 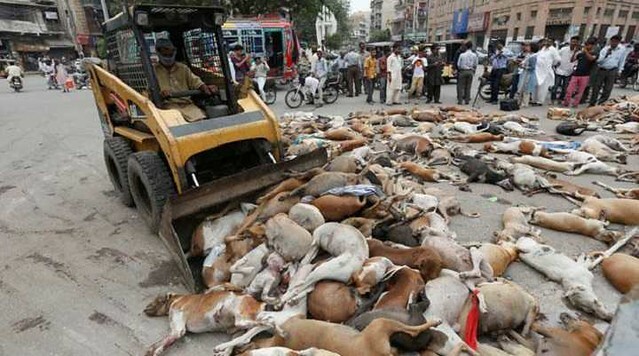 I have seen cats disturbing the drivers (literally a cat jumped onto the road from nowhere and I had to apply sudden brakes on highway to save it), I have even seen camels on highway causing trouble, but I have never seen photos of mass killing of cats or camels in such a case, then why dogs? Islam is surely a religion that won’t allow us to kill anyone (be it cat, dog or human) without a cause or a reason. It is a religion that not only asks us to remain kind with humans but also animals. We often hear the Hadith that proclaims that a prostitute was forgiven for her act of kindness for a dog. She gave water to a dog dying of thirst and saved its life. Allah forgave her for the kind act. Then you say Islam allows you to kill dogs? Certainly, Islam provides no such teachings. It is a religion that won’t allow us to kill a sparrow or any other creature without a reason/cause.